Hi there! 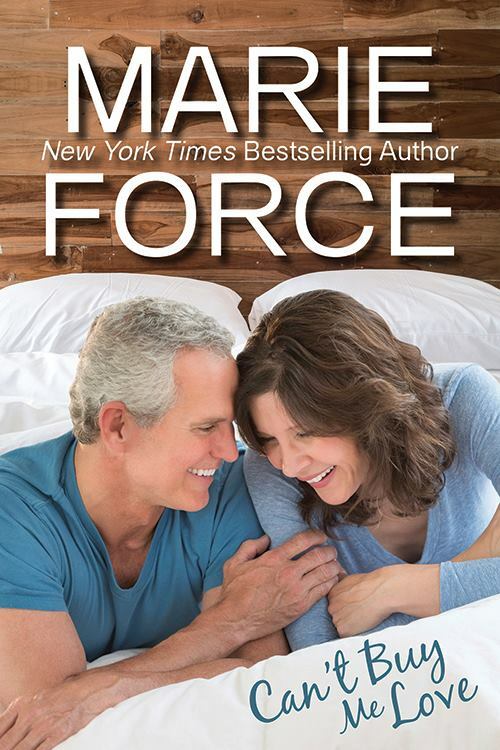 Today I’m sharing a review for a new contemporary romance from Marie Force. 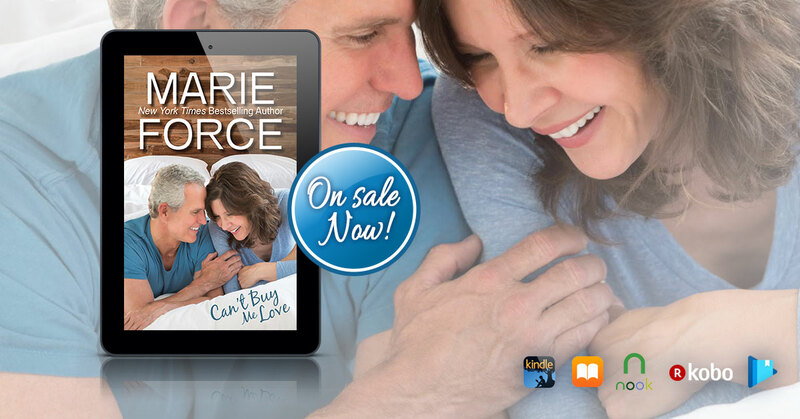 CAN’T BUY ME LOVE is the second book in her Bulter, Vermont series and features a mature couple finding unexpected love. It was a 4.5 Star read for me, and a sure hit for fans of Marie Force. Mary Larkin and Patrick Murphy met when Patrick arrived in small-town Butler, VT, for his daughter Cameron’s wedding. Patrick is a mid-50s uber-wealthy hotelier, and he still mourns the loss of his wife in childbirth to Cameron nearly thirty years ago. Mary is mid-40s, unmarried, and lives a quiet and subdued life. She never expected to find love this late in the game. Her heart was broken after college and she’s comfortable in her town, her friendships, and her commitments at church and volunteering. She’s not comfortable being the object of Patrick’s interest. He’s a wealthy and cultured Park Avenue man, she thinks. Why would he want poor-forlorn me? So, Patrick is drawn to Mary’s sincerity and kindness. He finds her incredibly attractive and initiates communication with her long after the glow of Cameron’s wedding night has faded. Mary insists they keep their communication quiet, because she really likes Cameron and doesn’t want to upset her by being her dad’s flavor of the month. Thing is, they bond over emails, text and phone calls. Speaking with Patrick becomes the best part of Mary’s day—and Patrick feels the same. Mary muses over her infatuation while riding to a weekend getaway with Patrick which is their first time to get comfortable outside of the prying eyes in Butler. It’s incendiary, with Mary becoming the sensual woman she’d never expected, and Patrick the most virile widower on the face of the earth. Their chemistry is beyond insatiable, and Mary’s sexual awakening is fun to experience. Patrick is relentless in his pursuit. He never expected to find a woman with whom he feels so compatible since his wife’s death, and he’s unwilling to let his Sweet Mary go. He woos her with daily gifts while out of the country on business, and cuts his trips short so he can spend time bivouacked in her charming home in Butler. Mary’s resolve is worn down by Patrick’s absolute devotion to the idea that they are meant to be. This is a sweet and mostly breezy mature romance with plenty of heat and lots of heart. It’s easy to drop into this series, and I enjoyed the book as a standalone. It may be the second book in the Butler, VT series, but it’s a spin-off from the larger Green Mountain series and features many recurrent characters.